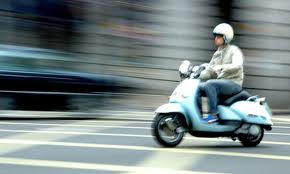 We set up Operation Cerebus to combat the growing problem of moped theft. A team of officers targeted a small group of youths we felt certain were committing the crimes. We received several calls from you, members of the public that have helped us over the past few weeks. I am pleased to report that seven arrests have been made with several stolen bikes restored to their owners. On the morning of July 15, two robberies were committed by persons on stolen mopeds on Battersea Park Road. Numerous officers swamped the area and eventually three excellent arrests were made and two stolen bikes recovered. Two of the individuals were found by the Op Cerberus team hiding under beds. One of them, a 15-year-old boy from the Patmore Estate was already wanted by Police for breaching his Court Bail and was supposed to be at Court that morning for sentencing for an earlier offence of Aggravated Vehicle Taking. He never turned up as he was out stealing again. This time he was charged with Attempted Robbery, Theft person and Handling Stolen Goods (a stolen number plate and a stolen moped) and kept in custody to appearing at Court the next day. The Court let him out on bail again, which he breached only days later before stealing another bike on the 21st July. Arrested by the Op Cerberus Team, he was further charged with theft & MV Insurance offences, kept in custody & appeared at Court on 29th July. He has now been placed into Council care (thankfully in another part of London) with strict bail conditions, until his trial. One other individual in this group appeared at Court On Tuesday July 29 for similar offences and was released on a supervison order. However the Cerberus Team were waiting outside for him as forensics recovered from another recovered stolen bike came back that morning with his name all over it. He was charged with Receiving Stolen Goods & was back at Court on 30th July. He pleaded guilty at court and was give a six-month referral order with a condition to “sign on” at Lavender Hill police Station on a regular basis. So, he turns up on the afternoon of the 30th to sign on “on a stolen moped” which he just stolen from Dorothy Road, SW11! The Op Cerberus apprehend him nearby and in the violent scuffle that follows (as tries to run the officers over), he breaks one officers finger (and also injures his knee). He was charged with Aggravated Vehicle Taking, ABH of the injured Police Officer, Using threatening Words and action under the Public Order Act, Driving whilst Disqualified (already imposed at an earlier trial) and driving with no insurance. I am glad to say on this occasion he has kept in Custody by the Court at least until his next appearance on August 5. We will be strongly opposing any bail application. It can seem that it is a constant a merry go round of commit crime – arrest – bail – commit crime – arrest – bail – commit crime – arrest – and so on and it sometimes is as the above demonstrates. However, we have persevered and will continue to do our utmost, with your help to bring these individuals to justice & where necessary look at ASBOs and with the Council’s assistance even evicting them from their homes. Since the arrests mopeds thefts have reduced considerably. You may recall this story from June. The Fire Brigade from Battersea informed our local team that there had dealt with a recent increase in arsons on the Winstanley Estate. After liaising with Council Housing officers and reviewing their CCTV the Team arrested a local 19-year-old male, Liam Hynes who lives on the Estate. He was charged on May 17 with two counts of Arson and appeared at Wimbledon Magistrates Court. He retuned to Court this week for his trial and received 12 months in prison. Stuart Smith, Watch Commander at the Battersea Station said last month “The London Fire brigade is committed to reducing arson and the partnership between Battersea Fire Station and Battersea SNT has achieved this objective. Utilising the reporting system that the LFB use, keeps Inspector Ellis, Battersea SNT team leader informed of all incident’s of arson with in the Borough. These incidents have been investigated and have lead to a prosecution and conviction of a know arsonist. A job well done”. On July 18 an 18-year-old male was robbed and assaulted on Winstanley Road. There were four persons involved and the victim suffered some stab wounds, however thankfully he is expected to make a full recovery from his injuries. The Team leafleted the area at the time appealing for witnesses and put in some reassurance patrols. Thanks to some great investigative work by the CID, a 28-year-old male from Battersea was arrested earlier this week on suspicion of committing the offences. He was charged with wounding with intent to commit Grievous Bodily Harm and was remanded to appear at Wimbledon Magistrates Court on August 1 pending a trial date. These type of offences are rare but we are still looking to identify the three outstanding suspects. If you know anything and can help please contact the local Team on 0208 247 8609 or call Crime stoppers anonymously on 0800 555 111. This entry was posted in Uncategorized and tagged Crime, Moped theft, Police, Winstanley Estate by Simon Hogg. Bookmark the permalink.